This app is a addictive dice game. This Dice 100 have new rules to the classic dice game. 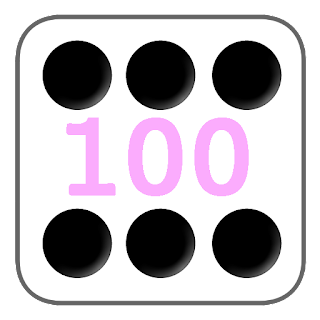 - The players choose between 1 dice or 2 dice. When does their turn ends? by the result of one of the rules listed below or the player chooses to click on button Hold. If the player chooses to click on button Hold, the points rolled during that turn are added to his score. - If Roll a 9, lose all points on that turn. - If Land on 99, go back to 0. - If Roll double 1's, go back to 0. - If Roll a 1, lose all points on that turn.